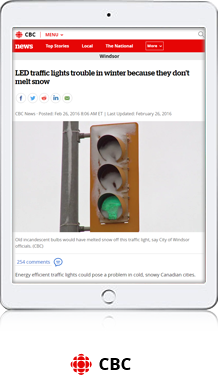 Are LED Traffic Lights Safe in Winter? 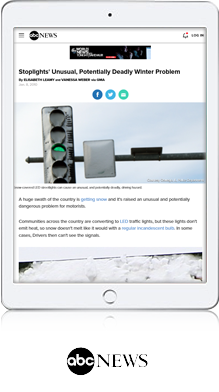 LED traffic signals are great alternative to traditional incandescent signals. 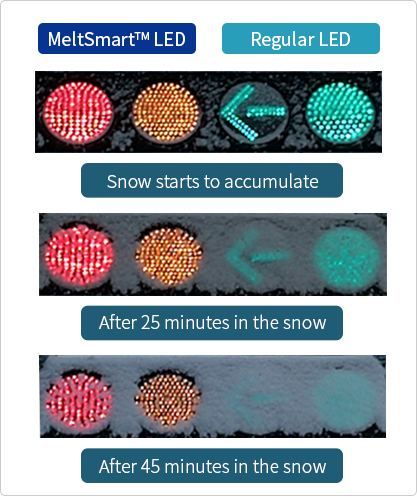 However, LED traffic signals cannot melt snow! 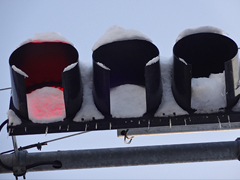 One of the great advantages of LED traffic signals is that they do not waste energy by producing heat. 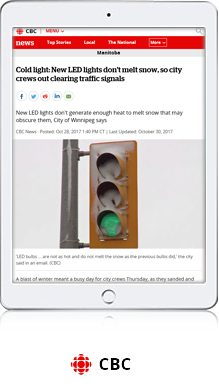 The surface temperature of LED traffic signals only mark between 10 to 20 °C (50 to 68 °F), while incandescent lamps hover near 45 °C (113 °F). 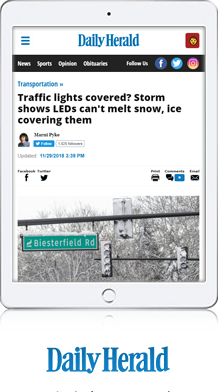 This advantage, however, acted adversely in some snowy scenarios as the LED traffic signals were unable to melt away accumulated snow. 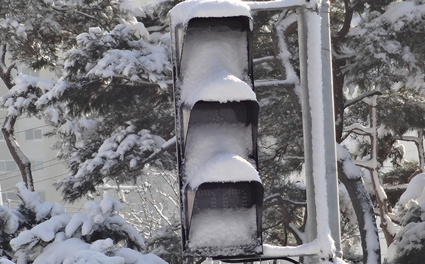 Snow-covered traffic signals pose great safety threat to motorist and pedestrian. 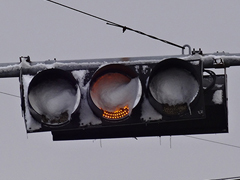 They cannot navigate safely when LED traffic lights are obscured by snow. 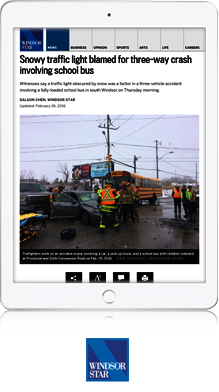 Numerous accidents have been reported in North America. 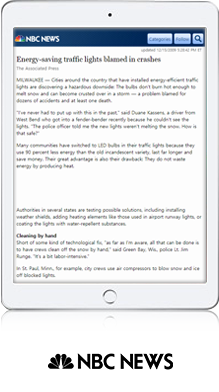 Most cities resolved to manually clean off the snow, posing safety hazards to work crews as well. Also, snow removal job requires additional cost. → Labor intensive, time consuming and waste of budget. 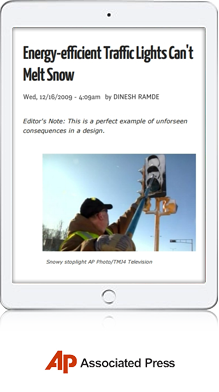 Numerous attempts have been made worldwide to solve the shortcoming of LED traffic lights. They include changing the shapes of the lenses, attaching additional covers, and applying special surface coatings. But none of them has provided definitive solution so far. 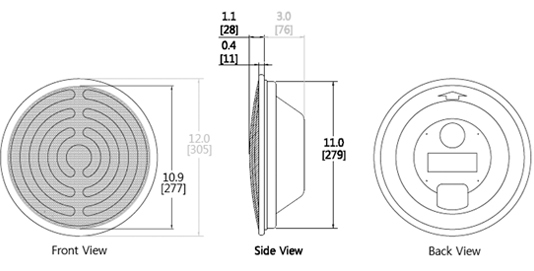 Multiple photoelectric and thermal sensors are embedded in the module. 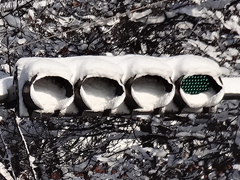 With minimal electricity (0.1W), the sensors detect the snow attached to the surface of the lenses and automatically set the heating element in motion. To avoid any false operation, CdS (Cadmium Sulfide) sensor is installed to adjust the sensitivity of sensors during day/night. 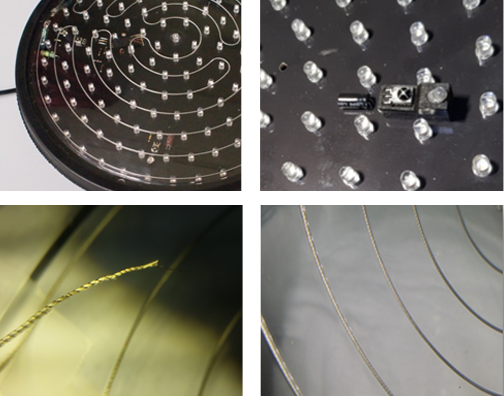 Nichrome heating wire is securely embedded in the polycarbonate lenses of the lamps. 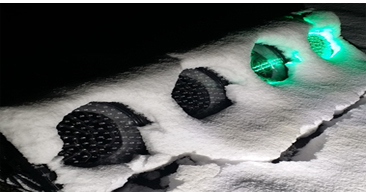 Receiving the signals from the smart sensors, the heating element increases and adjusts the surface temperature of the lenses until the snow completely melts away. 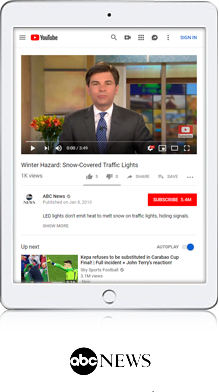 With patented technology, the heating element does not cause any deformation or discoloration of the lens and guarantees the same level of brightness over the time. 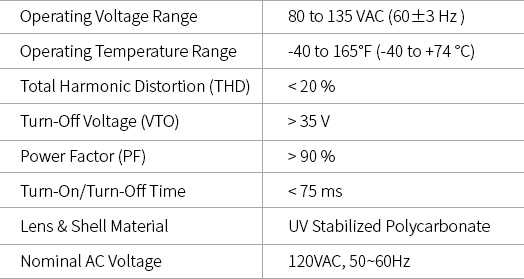 With patented temperature control feature, deformation or discoloration of lens is prevented. 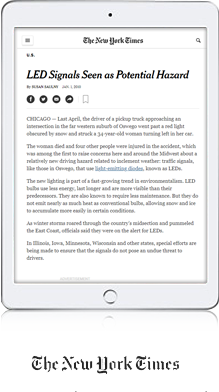 MeltSmartTM contributes to avoid traffic accidents and possible loss of life. 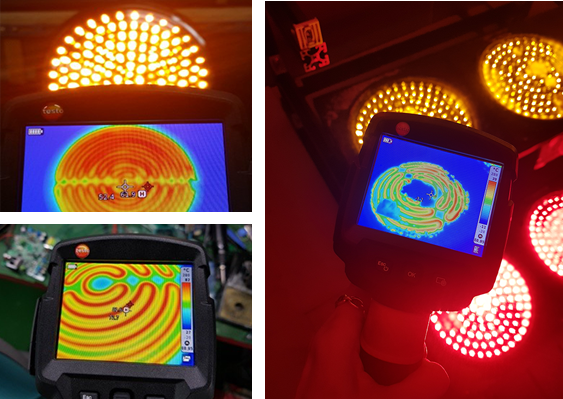 Smart, Error-proof configuration → With the dual action of photo and thermal sensors, the MeltSmartTM works only when it is needed. This guarantees economic usage of electricity. 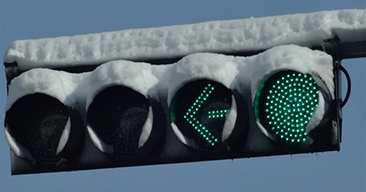 By avoiding possible traffic disturbance and accidents caused by invisible traffic signals in the snow, huge cost is saved. 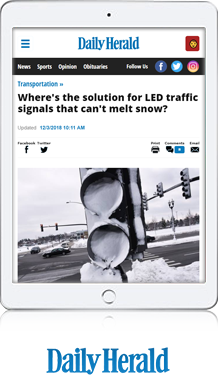 With MeltSmartTM LED traffic signals, there is less need to send out crews for emergency snow removal which contributes to potential liability savings. Also, this allows maintenance staff to focus on other projects and lowers the cost to state and local government. 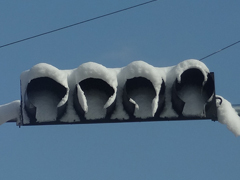 MeltSmartTM Traffic Signals showing strong melting power in heavy snow. Copyright (c) 2018 ZITEK Corporation all rights reserved.